This trick I saw in C++ Slack (great place, lots of interesting stuff). Its from Miro Knejp. This produces different results. 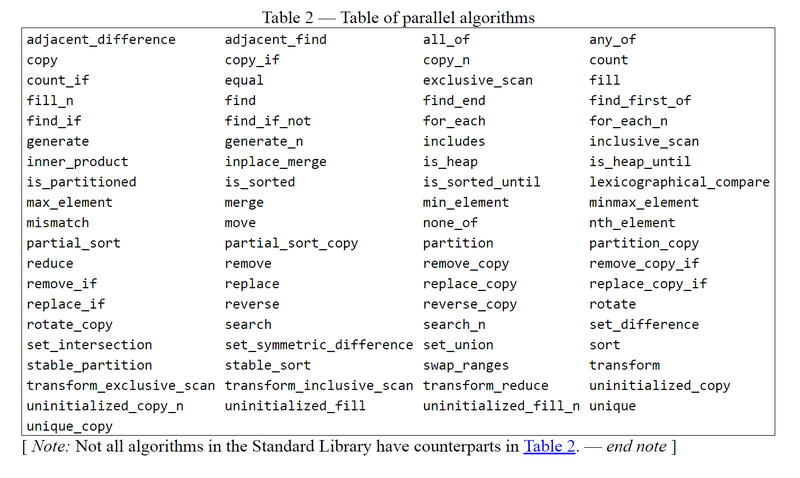 Its implementation specific so it varies between compilers. However sometimes we want to put lambdas in a container and do something. We can use std::function and type erase them but it has some overhead (havent researched what exactly but I will, stay tuned). This way we force the compiler to lock the lambda type because the return type of make_f must always be the same. We can add to Sean Parent recommendation "No raw loops" - "Know the STL algorithms [and which ones are parallelizable]"
std::apply is introduced in C++17 and allows us to pass a tuple’s elements as function arguments. Since it is very easy to create tuples from variadics this is useful utility. Boost.MultiIndex container is a powerful container that maintains one or more indices with different sorting and access semantics (as the name suggests). At first glance it can be very strange and hard looking but when you use it several times you get used to it and may experience that how-did-I-lived-without-this moment. I'll give as example one often occurring case - bidirectional map. You can find the full working example at boost tutorials. * for each member of the pair. std::terminate(); //omg its not in the bi-map! the world ends! Last but not least the most awesome tool nowadays. You probably lived in a cave in the last year or so if you havent heart of it but no shout out is enough. It appears that x * 8 - x is cheaper than x * 7. It has a dedicated C++ Slack channel where you can ask Matt anything. He is very cool and very approachable. I'll be using CE a lot!